Ricardo Tisci reveals his new Givenchy Rave bag for the upcoming season. Ricardo is a true master of Givenchy's simplicity, minimalism and architectural silhouettes. The Givenchy Rave bag is a flat style bag that comes with a long strap and short plastic handles. Bag us combining the length and capacity of a pouch with the compact portability of a clutch; this bag is a perfect accessory for the busy girls or boys on the go. The Rave bag has a geometrical body and it represents androgynous and unisex attitude. 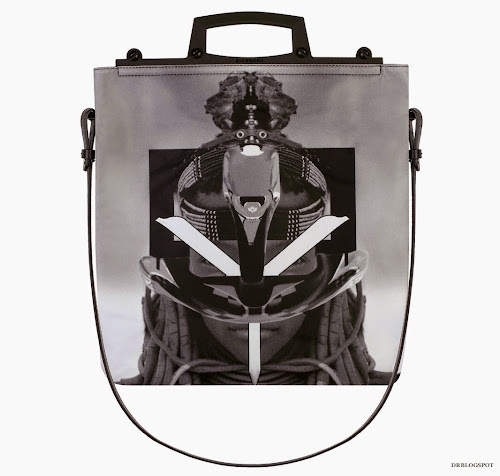 The Givenchy Rave Bag was released for fall-winter 2014.